Trust – Who is on our side and who is not. This was clearly lacking in the Fukushima nuclear power plant accident where Tepco, the plant operator, was accused of covering up the extent of the accident consequentially increasing fear. Risk versus Benefit – A clear example is the trade off between the perceived risks of nuclear energy v. the known ability of nuclear power to reduce greenhouse gas emissions and reduce the health risks from burning fossil fuels. Control – The more control we think we have, the safer we feel. If there is a radiation leak from a nuclear reactor, then those who are potentially exposed, who typically don’t understand the degree of risk and certainly can’t control the ‘fallout’, feel a loss of control which naturally increases their fear. Choice – If the risk is something you’ve chosen to take then you will have less fear. In Finland, the siting of a nuclear waste facility was at the veto of the local communities – they made the choice. It was very different at Yucca Mountain. So the Fins welcomed the waste facility but the residents of Nevada feared for their safety. 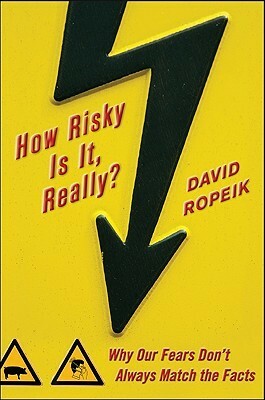 Is the risk natural or man-made? – solar radiation is natural, nuclear energy radiation is man-made so we fear nuclear radiation and welcome solar radiation. In fact solar radiation is more dangerous than nuclear radiation. Pain and suffering – the degree of pain and suffering impacts the degree of fear. Radiation can cause cancer (although it is a very low risk) and that might involve pain and suffering so we fear it. Uncertainty – the more uncertain we are, the more afraid we are likely to be. The uncertainty of Three Mile Island led to thousands of people fleeing the area creating enormous upheaval. Uncertainty leads to the Precautionary Principle – better safe than sorry. A similar evacuation also happened at both Chernobyl and Fukushima. Can it happen to me? Any risk feels bigger if you think it could happen to you even if the chances are very small. Risks to Children – Any risk to children evokes more fear than the same risk to adults. One of the first actions at Fukushima was to protect the kids from thyroid cancer by giving them iodine tables. Some Fukushima parents are so scared that they have their children regularly tested even though it is probably unnecessary and possibly uncomfortable for the child. Using the risk perception factors above, environmental advocates are able to dramatize the risks of GM food, coal seam gas, offshore drilling as well as nuclear energy and nuclear waste. As do journalists. As Ropeik puts it, “if it scares, it airs”. In a past life, he was a journalist and he reported on nuclear power in New England and he wishes he knew then what he knows now about the relative danger. Radiation dose rarely appeared in the story which leaves the reader uncertain as to the risk. Worse, if the dose is moderate it’s played down. When the dose amplifies concern, it is played up. Risk perception factors lead us to the concept of the Perception Gap – the dangerous distance between our fears and the facts. Our aim should be to narrow the Perception Gap and make better choices for ourselves and society. Thomas Aquinas once said, “Most men seem to live according to sense rather than reason”. Our views of and responses to the world are shaped not just by what we know, but also by what we feel. Likewise David Hume said, “Reason is, and ought only to be the slave of the passions, and can never pretend to any other office than to serve and obey them”. Until recently, I would have included myself among those people. Over time I have realised that just providing facts will not assuage peoples fears. Understanding their risk responses might be more effective. I wonder how the people who used to live around Fukushima feel about ‘risk management’… This all (post) sounds good from a rocking chair point of view, but what is the reality… the real reality as seen at the “point of contact”, where real people are affected by the far off risk assessors? My only real cravat is in order to disseminate your fact and reason to the largely nuclear clueless public (at least here in the U.S.), unless you fund your own mass public nuclear education campaign, your views has to pass through the filter of a coyly very anti-nuclear media which goes out of its way casting almost anything nuclear in a dark ominous light. Everything you say are gems of reason but it’ll end up bound and gagged over here media-wise. Worst, the very nuclear professionals organizations and nuclear community here who ought have prime interest getting fact and reason out to de-FUD antinukers are totally MIA in the battle for the public’s hearts and minds. Keep up the great work and do drop by http://www.atomicinsights.com. We’d love to hear you on Rod Adam’s “Atomic Show” podcasts! I respectfully disagree with Mr. Greenidge, and have been cautiously heartened by the neutral light in which nuclear is increasingly mentioned in the U.S. press. Admittedly the exception, still its there. Neither do I think the nuclear industry is missing in action, as World Nuclear Associations’s World Nuclear News provides near-daily updates. I’m not certain this is yet a good moment for the industry to air adds on prime-time television promoting the benefits of their wares, as such would be perceived as self-serving dangerous lies by no-nukes folk unfamiliar with the facts. At least for now the nuclear industry is probably best served by sites such as this and Mr. Adams’ and Mr. Corrice’ and Ms. Angwin, where people who have such fears may give ready voice and engage in (somewhat) rational discussion with those who might educate them. I know its frustrating, but the issues are too complicated to be resolved by ad-agencies and argued by sound bite. I think that of the four issues Mr. Nicholson mentions, “that nuclear power is too expensive and in any case we just don’t need it!” Are perhaps the most easily addressed, but will gain little traction without prior discussion of the big three: waste management, weapons proliferation, and “risk of catastrophic core meltdown with containment breach that will leave vast swaths of land uninhabitable for eternity.” Of these, weapons proliferation is most easily separated from commercial electric power but again — such argument will fail in the face of misunderstanding of radiation risk. It is of utmost importance when communicating with no-nukes comments on nuclear advocacy sites that we do so with professionalism and courtesy, as they are the ones who have broken out of their bubbles to engage us in ours. We share an ultimate goal. Excellent comment, Martin Nicholson, as usual. Good to see you haven’t gone into retirement. The fear of radiation and of nuclear power is supported by the unjustifiably low radiation limits. If these were raised back to where they were pre-1991 (5 mSv/y) or better still to where they were pre-1957 (150 mSv/y), which seems to be justifiable based on the science, the arguments used to support the fear campaigns would be reduced. • The environmental NGOs, could have a reason/excuse to come on board – only one of the major environmental NGOs is needed to get the ball rolling. ignore observed low-level radiation effects. 5 mSv/y (1957) to 1 mSv/y (1991). These rules are political and inconsistent. exposure to < 0.1 mSv/y for 10,000 years. limits lower and increase costs and fear. economic benefits of green nuclear power. In our case, we need to tell our politicians, the journalists and the opinion leaders in the environmental NGOs. Jeeze! You mean more of what they haven’t done for thirty years — and look how far that got them??? Take a shot! Don’t BE the target! SARI – Scientists for Accurate Radiation Information is an excellent place to start for those people who are anti-nuke because of an unreasoning and unreasonable fear of radiation. This is a group of well respected nuclear scientists and medical radiation specialists, whose intention is to accurately inform the public. but what is the reality… the real reality as seen at the “point of contact”, where real people are affected by the far off risk assessors? “There have been no harmful effects from radiation on local people, nor any doses approaching harmful levels. However, some 160,000 people were evacuated from their homes and only in 2012 were allowed limited return… As of October 2012, over 1000 disaster-related deaths that were not due to radiation-induced damage or to the earthquake or to the tsunami had been identified by the Reconstruction Agency, based on data for areas evacuated for no other reason than the nuclear accident…These are in addition to the 19,000 that died in the actual tsunami. So. No injuries or harm from radiation exposure, yet over one thousand dead from evacuation stress. At the time Prime Minister Kan was listening to “far off risk assessors”, notably from IAEA and UN, several of whom made hurried travel to Japan to advise him. Some of that advice was in conflict, yet it was for Kan, the politician, to decide to evacuate, or not, and to what extent. We look back from today at the continuing drama, and ask “How much of this trip was really necessary, and for how long?” The carbon crises won’t wait while we dither. Thanks for the enlightening link, MsPerps. Fukushima: Fear and Fallout appears accurate and with little bias. Regrettably, its original The New American source might diminish its credibility among those it most needs to reach. But that’s where it is, and the article does look good. that which happened at Three Mile Island, Chernobyl, and Fukushima are quite enough to make me hate and fear nuclear energy. BTW, Mr. Nicholson, have you noticed the Nuclear “Incidents” are getting worse over time? Nuclear energy is not safe unless it is 100% safe. This may seem rather simplistic to you, but some things are simple, with no need to complicate or obfuscate, profits notwithstanding. Please note that most of your comments have been removed to “Moderation” for violation of several commenting rules. They may be edited and approved or deleted.Please read the “Commenting Rules before posting again. Key factors were omitted. Science, statistics, and critical thinking are woefully under-taught in U.S./world K-12 schools. The media are complicit by failing to recruit/assign competent reporters, and throwing fact under the bus in favor of sensationalism. The vast majority of people (even ones with high IQ) are capable only of parroting the opinions of groups they identify with. It takes more courage than most writers have to call out such diagnoses, for fear of offending readers with the truth about themselves. What is it about nuclear’s fifty year record of near nil mortality and public damage and environmental impact scores especially compared other sources long known to be killing millions in just in regular operation, forget accidents. Your comment has been edited to abide by the BNC Commenting Rules. The comment to which you refer has been edited to remove the commenting rule violation. Comment deleted. Violation of rule regarding unsubstantiated personal opinion. BTW Mitch, it’s not the potential accidents which bother me so much as the lingering consequences to the environment afterwards, for thousands of years, while the radiation just continues to be produced and spills out through the countryside and into the oceans, poisoning our food supply and concentrating as it gets higher in the food chain, as seven billion people on this planet begin to starve for want of nourishment, and cancer cases from radiation rise in number as the government declares ever higher “safe” levels of radiation until people refuse to believe it any more. This comment is a clear example of expressing a personal opinion, not properly backed up with relevant peer review science. Further instances may be deleted. When the nuclear industry comes up with a way to actually CLEAN UP disasters like Fukushima (and worse) and minimize their impact on people, when nuclear fission energy becomes no more problematic than say, energy produced by coal, oil and natural gas, I might be willing to give nuclear energy a chance. Until then, it’s just a bunch of Fukushimas looking to happen. Nuclear energy is not the answer to Global Warming if it poisons us all anyway. Please be aware that the “Comments Policy” on BNC necessitates providing scientific, peer reviewed references and not be merely matters of your own opinion. As a new commenter you may not be aware of this. In future, please abide by the “Commenting Rules”. Thankyou. Your concern over a hypothetical Fukushima Daiichi Spent Fuel Pool accident, while understandable given the media situation, is still somewhat misplaced. I’m not an expert there, so please see Leslie Corrice’s ongoing commentary. These exposures were apparently from I-131, which has the potential to cause thyroid cancer with onset delayed three to five years after exposure, so it is premature to categorically assert “no one” was injured by radiation at Fukushima, as that remains to be seen. “No member of the general public” would have been more accurate. Fortunately, thyroid cancer is usually treatable. We’ll have to wait to see if any develop. CAN the nuclear energy industry guarantee fifty years without a major accident? It’s still not nearly long enough and they’ve never ever actually managed this “safety” feat anyway but that’s beside the point. Can they actually GUARANTEE fifty years of safe nuclear operation? It’s insanity, is what it is. It’s trying and failing at the same thing again and again. It doesn’t work, and it doesn’t make anyone feel safe. You’ve put your finger on it. It is very much less problematic than any of these, and has been since the beginning. But it replaces dollars to tens of dollars’ worth of the fuels they burn with a single dollar’s worth of uranium, and that means it deprives two powerful interest groups of fossil fuel income: fossil fuel vendors, and governments. These are the same groups that are suspected of inciting and/or funding the many endlessly argumentative commentators that attempt to waste time in discussions of fossil fuel-caused global warming. Great article. Bottom line, people fear what they don’t understand. Having worked in the nuclear field for over 10 years, and having developed a good understanding of safety around radiation and radio-isotopes, When working in radiation fields for some on in industry, maintaining awareness of dose rates, limits, and so on is always in the back of the mind, but we’re not afraid of it. Often, we in industry are fairly nonchalant and sometimes even a little complacent about our own exposures however public exposure is maintained as close to zero as possible because we understand that there is a fear of radiation exposure. The public is not afraid of getting a chest x-ray from a doctor, or a dental x-ray from a dentist, however ionizing radiation exposure from these procedures often exceeds what a nuclear worker will be exposed to over the course of a year. The perception of safety in the nuclear industry has not been widely publicized, however it is in fact one of the safest industries to work in because of the regulations and practices. Working in a commercial power plant, I occasionally find myself finding our safety protocols to be almost to an absurd extreme, however injury rates do demonstrate their effectiveness. Another aspect of safety that isn’t well publicized is the redundancy of engineered safety. At our power plant, we must maintain a minimum of three independent means of core cooling. Those systems have in themselves built in redundancy, often having automatic stand by features to maintain the system available for use. Ultimately, most systems do require electricity, so failure of the electrical grid becomes a concern, which is why we have redundant backup power systems that can provide more than a week of electrical power to the plant, and non-electrical systems such as steam driven auxiliary feed water pumps, passive safety injection tanks, and natural circulation designed into core components to provide cooling. CAN the nuclear energy industry guarantee fifty years without a major accident? Define “major”. Commercial nuclear power outside the Soviet bloc has gone its entire lifespan without any civilian loss of life from radiation releases. There’s all but iron-clad proof that the LNT hypothesis is not merely wrong but backwards at low doses, so even the environmental contamination around Fukushima and Chernobyl should not be expected to cause any harm. Contrast this to the loss of whole ecosystems just from sea-level rise if we don’t slash fossil-carbon emissions by at least 80%. Not even Denmark has gotten close to that. So far, “renewables” just delay the cooking of the planet a bit. That’s not even an accident; it’s a design feature of “green” programs. I’ll take the once-in-a-generation meltdown, thank you. And if it’s more than “once-in-a-generation”? What if it’s more than one? What if it’s several? These two things I know: 1. Nuclear proponents are fond of saying “It can’t happen”. 2. Sometimes the worst accidents happen, unexpectedly. It’s not the duration of time between the accidents or the size of the accidents or the number games you can play with the statistics that are the issue; there are ACCIDENTS, period. And when these accidents have the potential to destroy whole cities and perpetuate the damage for many generations, that is an issue that should be a deal-breaker. Your post has been edited to remove attacks on the personal motives of others. Can they actually GUARANTEE fifty years of safe nuclear operation? No. Nor can anyone state that other energy source is 100% safe for fifty years. But we can say it is nuclear is the safest way to generate electricity. And that electricity saves millions of lives. To emphasise the point using a limit scenario – an extreme example – if our electricity supply was disrupted in OECD countries, half the city dwellers would be dead within a week or two. Think about it: no water, no money, no food, no transport (other than with the fuel you have in your tank, because the pumps don’t work). So electricity is essential. Nothing is 100% safe, but 56 years of nuclear power demonstrate very clearly it is the safest way to generate electricity. It is about 600 times safer than coal (world average). And, realistically, that is the main alternative to provide the world’s electricity supply for most of this century if public opposition in the OECD countries retards the roll, out and ongoing development of nuclear power and prevents it from being cost competitive with fossil fuels. May I remind you all to check the Commenting Rules before posting. Some comments have already been deleted for violations or Unapproved for further consideration by Barry. This is a straw argument. The assumption here is the named countries would be reponsible with their nuclear activities. Such is NOT the case as the record shows (nuclear waste proliferates among other problems to this day) and therefore, your argument here is totally false. The entire article is full of hopium (false promises) and straw arguments and poorly written. posted 3 February 2014 at 1:06 PM by J.R.
As a lot of you may be aware, the conflation between fission energy and weaponry has the debate over the last few decades. I see no reason why that article should be in ABC Environment/Energy, and only serves to further the misunderstanding of nuclear energy. Feel free to start a new topic on the subject over at the Forum. It’s not the duration of time between the accidents or the size of the accidents or the number games you can play with the statistics that are the issue; there are ACCIDENTS, period. On the order of 500,000 lives a year are cut short by combustion effluents in China alone. That’s not an accident, that’s a certainty. Would YOU feel better if someone told you “At least it was known with certainty, not just an accident!” as you were coughing out your last breaths? And when these accidents have the potential to destroy whole cities and perpetuate the damage for many generations, that is an issue that should be a deal-breaker. The towns of Okuma and Futaba were destroyed by water, not anything nuclear. People are moving back to the Fukushima area today. The original, panicky evacuation order should never have been given, and a much more restrictive order would have been sufficient to protect public health. The buildings which have suffered damage from neglect in the last 3 years were neglected because the government ordered people away, not any nuclear effects. Since there’s little or no injury to the public from these incidents, the major consideration is the property damage to the units themselves. We could easily stand several per generation, just because they’re happening in very early units which are getting close to retirement age anyway. The modern designs have been engineered to be immune to exactly the sort of station-blackout incident that occurred at Fukushima Dai’ichi. It says something when you have to ignore 10,000+ tsunami fatalities and well over 1000 confirmed premature deaths from the evacuation orders to obsess over a few theoretical injuries. But take the worst-case accidents. Could any of them match the loss of the arable land in the world’s river deltas and the flooding of every port city on earth? THAT is the alternative, because even your maximum-effort “renewable” program will leave people burning too much fossil fuel to fill in the gaps to avoid the climate catastrophe. A reminder that relevant references support your contentions and are encouraged on BNC, which is a science based blog. I have been pondering the future of power generation for some time, particularly in relation to nuclear generation. I am neither a scientist, engineer nor “greenie”. I do have concerns about the increasing levels of atmospheric CO2. Martin Nicholson’s post certainly crystallizes some of my thoughts but does not appear to provide any real answers to the problem of converting the fearful or otherwise opposed. Frankly, I suspect that the war of logic or reason is incapable of being won in favour of nuclear with countries such as Germany and Japan are both phasing out reactor based plants. My standard response to those who reject nuclear power generation outright (and who generally profess green beliefs) is that my power bill each quarter shows how much CO2 I have contributed to the atmosphere that quarter – nuclear doesn’t do that! If nuclear proves unmarketable, it will not be because it is a bad technology but because others have been better promoted or have more influence. The coal industry, for example, is highly profitable and has enormous resources to ensure that it sells as much as possible before it becomes politically unfashionable to do so. A bit like tobacco, if you need a comparison. Solar is a great technology that would also be useful if the sun shone all day, every day. It doesn’t, and never will. So it needs energy storage. Here’s a little admission; I have always loved wind mills and wind turbines. Personally, I think they’re beautiful. However, I also realise that there isn’t always enough wind to produce useful power although I’ve never seen a wind farm where almost all the blades weren’t turning, even if there appears to be no wind. Do they feed grid power back to make them look good? • A proposal to build a wind farm (or solar farm) in close proximity to the Snowy Hydro facilities to recycle water through the scheme and contribute excess power to the grid. It would likely be opposed by conservationists but could provide the most efficient and cheapest storage of energy as the reservoirs already exist. I know Snowy Hydro does some recycling using cheap grid power but it is very limited and simply serves to use excess output from coal fired generation. As I see it, the pro nuclear argument is not winnable on its own merits, largely for the reasons set out by Martin, but also because Big Coal doesn’t want it. If coal had only a decade of reserves, they’d probably be pushing nuclear, rather than carbon capture, as their replacement technology. A comment from France : good article ! Nuclear energy is not THE solution but a great part of it for the future. All future Fukushima nuc deaths = less than one day of tobaco in France. Chernoby = less than one year. So 6 millions lives where saved thanks to nuclear energy. BNC moderator: the narrow-column format is at cross-purposes to any desire for detailed comments, and I’ve become wary of including hyperlinks because many such comments are “held for moderation” and never get out. I have to agree that the proboards format is better for that sort of thing. On BNC, after an initial approved post, your comments go straight to the blog and not into moderation. As long as the links are not excessive your comment won’t go through to Spam. Spam is checked by myself, several times a day. Hope this helps. As France is the world leader in using nuclear energy, we improved that this energy combined with renewables heat and hydro, and solar when it´s possible can contribute to solve the carbon energy problem in industrial countries. Of course it´s much expensive than coal. But if we decide a carbon tax to evoid climate change, we can try to reach a good mix (excuse my english). Nuclear was 14 000 TWh for 400 billions $ in France : it is not expensive. There isńt any difficulties yet. Waste, destroy plants, security problems are over compared with fossile lethal troubles. Even fissil fuel with the 4th generation plants,. We have energy for thousands of years. So we wrote a french energy scenario to solve all troubles in France : unemployement, growth, oil imports, wood, renewables heat, pollution, oil war, finance balance, tax. It is called RESSEC 2050. http://www.ressec.wordpresse.com/about. It consists in an evolution from 13% and 17% for renewables and nuclear in final energy (78% from electricity) to 40 and 40% of energy (minimum). The fossiles will be less than 20%. We propose that all the good ideas can be exchanged through an international network called INCoFEEE http://www.INCoFEEE.wordpress.com/about. Let´s dream to a better world than war for oil,gas and coal ! @nikopol92: Welcome to Brave New Climate! That “Nuclear energy is not THE solution but a great part of it for the future” is certainly relevant to the “but its way too expensive!! !” argument. How best to mix sustainable nuclear with renewables and some fossils to obtain reliable, low-carbon electric is a subject in which both Mr. Nicholson and Peter Lang have some expertise, so there’s much to share. But I don’t think we’ve yet exhausted the safety and waste management issues to the satisfaction of some of our nuclear skeptics, so those might be continued as well. Thanks Nicopol. Most of us provincials will better resolve your ressec site at ressec.wordpress.com/ (wordpress without the ultimate “e”). I have Google Translate enabled in my Chrome webrowser; it seems to work well enough but you probably don’t want to know :) Your English is fine, save at end-of-life we usually try to “decommission” our nuclear plant. “Destroy” is what the 11311 tsunami did to Fukushima Dai-ichi Units 1-4, and what in 1982 some fossil tools attempted on Superphenix. I’ll look at your ressec site — I’m looking to see if any other EU state has a long-term comprehensive energy plan on order of U.K.’s The Carbon Plan: Delivering Our Low-carbon Future. Though I do wish to continue the safety issues from yesterday. Thanks! On Barry’s advice I have removed your thread from the Forum. He does not want the commenters on the blog posts to move over to the Forum as this has the potential to split comments and could be confusing. He will not be placing any new BNC posts on the Forum himself, and asks that no one else posts a thread in the BNC Blog Posts Comments category on the Forum as this category is now archival. The Forum is to be kept for your own individual new threads in the relevant category. I misunderstood your intention, thinking, from your previous comment, that you wanted to start a thread on nuclear power and weapons, so I may have inadvertently misled you. Apologies if that was the case.I have moved the comments already made on the Forum to your post here so that they would not be lost. Thanks Maxwell for your valuable contribution here. There is nothing like personal experience from an industry professional to start the ‘waverers’ thinking “why would I be frightened of radiation if he (and presumably his work colleagues) are clearly not?”. Radiation fear is probably the greatest threat to the future of nuclear power. If you look at my Risk Perception Factors, 7 out of the 9 are radiation fear related. Those, like yourself, who have practical experience of working in an environment that involved some exposure to radiation have the best opportunity to reduce the fears of those that have no such experience. Thanks again for your contribution to this debate. There’s also the ‘no threshold’ myth that people like Helen Caldicott keep spreading. I think she met her nemesis when she went up against Monbiot. A journalist. His following blog-debate shows her to be completely unscientific in behaviour and writing, but she remains on the air all the time. Please note that, now the comments have been re-enabled on the blog, Barry does not want the discussion on a blog post to move over to the Forum, as this has the potential to split comments and could be confusing. He will not be placing any new BNC posts on the Forum himself, and asks that no one else posts a thread in the BNC Blog Posts Comments category on the Forum, as this category is now archival. The Forum is to be kept for your own individual new threads in the relevant category. Thank you. @Eclipse: the comments to that Atomic Insights Muller and LNT article have got to serve imho as Exhibit A of how NOT to engage the Loyal Opposition. Rod Adams himself has an acerbic bent he’ll cheerfully exercise in his own articles. When replying to others in his comment threads, however, Rod is uniformly courteous and direct. My personal wish is that others would note that distinction as well, as it is what distinguishes a useful inter-ideological discussion forum from just another echo chamber. In that particular thread Cheryl Rofer — a thoughtful, intelligent, and prolific blogger — tactfully suggested Rod and his readers (and by extension ourselves) to at least read the U.S. National Research Council 2006 BEIR-VII (Biological Effects of Ionizing Radiation) report before leaping to an exactly opposite conclusion. As BEIR-VII runs some 400-odd pages this was not a request to be lightly serviced. Predictably, Cheryl was met with ridicule and scorn — though by no means uniformly and certainly not by Rod. My point to everyone is this: if the nuclear advocacy community cannot engage people like Ms. Rofer, a chemist (MS Berkeley) and highly experienced LANL Project Lead :boggle: in courteous and protracted discussion — what’s the point? Here in the west nuclear policy will be won or lost where it has always been lost — at the ballot box. And we will never win there by not welcoming “misfits” and “malcontents” into our discussions. Thanks! Other dangers can be seen and people think that they can do something to avoid them. It is true of fire, road accidents and sickness. Nuclear energy may be killing less people due to efficient management but it is perceived as a silent killer. There is this fear of unknown to add, or it is multiply, to real risk. @Ed Leaver. I fully agree that we should treat all contributors to the debate in a courteous manner – particularly those who have experience in the field of their contribution. If we disagree with their views then we need to engage them in discussion in a way that might get both sides to reconsider their positions. Vilifying those who disagree with us will never get either side anywhere. Wow. I stopped at the second paragraph when the ‘appeal to authority’ logical fallacy was introduced. Mr Nicholson, fifty million Frenchmen can actually be wrong, as can the governments and regulators of the countries you named. 200 million “Greens” can also be wrong. What cannot be denied is that France and the French with their nukes are far closer to getting it right on carbon than Denmark and the Danes with all their whirlygigs. Hi from France. Yes we are very active in our french NGO “save the climate” http://www.SauvonsLeClimat.org to explain to the greens that renewables need nuclear to help a country to exit from carbon energy. Our scenario “NegaTep” recommands to increase renewables and Nuclear from 13% and 17% of final energy to 40% each. So fossiles will decrease until 2050 from 70% to less than 20%. Germany failed to acheive their energy transition. Easten Europe is more realistic… Even in the socialist party, most of us desagree with the plan wich consists in restrict from 75% to 50% of nuclear electricity. I suppose it is only a strategy to keep the green votes and will change with the acts. Exemple : Closing the Fessenheim plant would cost 25 billions $ in 20 years… and many CO2 increasing. Merci Nicopol, et bonjour! My own view — apparently shared by U.K. as well — is that barring CCS, the electric sector will eventually (HMG says ~2050) have to get far beneath 20% fossil generation. I don’t believe getting to the 80% carbon-free level on renewables (wind+solar+hydro) alone has yet been shown to be technologically feasible, but if it is, it has been shown to be prohibitively expensive. Prohibitive in the sense that countries making the attempt will not compete economically with those who choose to either engage nuclear or continue with coal. For their part, nuclear advocates must recognize that getting that last 20% on nuclear alone will be exorbitantly expensive at today’s capital cost for nuclear, the reason being that last (approximate, ymmv) 20% of electricity production still represents a bit over half installed capacity, i.e., it fills variable demand at a capacity factor of about 20% whereas the first 80% production is at capacity factor of 75 – 80% (about what French nuclear runs). Nuclear plants can supply that last 20% technically, but economically — there’s got to be a better way. Fortunately, although we must consider plans, the last 20% doesn’t have to happen tomorrow. Most of these numbers are from WNA’s Economics of Nuclear Power. I’m hoping wind+solar+gas or wind+solar+coal+biomass can provide that last 20 – 25% production at something approaching affordable cost. But that’s a hope — I haven’t run the numbers. Some may be unaware that French nuclear does not, fact, run in a vacuum and maintains its relatively high (78%) capacity factor by load balancing with her neighbors. I think Nicopol’s point is we’re all in this together. Ed, your points are well-taken, but I think you may have overlooked the detail of storage. Just a few hours of full-load storage, either stationary or in plug-in vehicles, is enough to level the load curve almost completely. This makes nuclear the obvious choice, because running it between 80% and 100% is rather simple. After WWII, the US government encouraged consumerism to keep consumption and thus employment up. I can imagine government 20 years from now encouraging weekend trips to consume excess nuclear-electric generation and create economic activity in recreation areas. All we need are the batteries, and they appear to be coming on full steam. More to the point, whose CSS do I have to load to get the traditional BNC 1.x theme back? This narrow fixed-width column light-gray text on light-green background must surely appeal to some form of sentient life — but not as we know it. Aussie, perhaps? @EP: I’ve long suspected a (relatively) modest amount of storage could improve dispatchable capacity factor much as you suggest, and much more economically than (relatively) exorbitant amounts of storage could do for intermittent CF. Here in the western U.S. f’rinstance, hydro plant factors range from a healthy 38% at Grand Coulee on the Columbia River down to a spectacular 24% at <a href=”http://en.wikipedia.org/wiki/Hoover_Dam#Operation>Hoover Dam on the Colorado. But beyond that I haven’t the numbers. Do you? Thanks! May I suggest – for InternetExplorer users – to use the key sequence, Alt-V-Y-N, or the mouse equivalent “View-stYle-Nostyle”. This strips off the colouring and spreads the text full-width. Much easier for my weary eyes! It still shows the author’s name and link to the comment for quoting in reply. I have yet to find out if any facilities are lost. Er, does anyone know how to do that in the Chrome browser? It’s not only something to be proud of, but also something which makes life better everyday, including ALMOST zero-emission electrical vehicles now available everywhere in France: trains, tramways, trucks, cars now run on 95%-emission-free electricity (exact numbers fluctuate around 80% nuclear , 10% hydraulic , 5% other renewables). As you mentioned, this is possible only with low CAPEX costs, which implies borrowing money from banks at 4-5% interest maximum. Experience has shown that private banks will go down from their currrent 8% interest rate down to 4-5% only if faced with the alternative of those loans being made by state-run loan organizationlike our CDC. So the alternative is simple: either stick with private banks and oil&gas, or go carbon-free with a mix of private equity/government-backed/genaral public savings to fuel your transition to nuclear and affordable renewables (if any such sources are available in your country). On a more technical level, PWR-type reactors can be modified for load-following. This is currently done in France and Germany thanks to a particular control modes, which enable both fast and long term power control. The EPR reactors built in Finland, France, China and the UK will have increased power modulation over current PWRs. Did I really read ““risk of catastrophic core meltdown with containment breach that will leave vast swaths of land uninhabitable for eternity.” ? Have you visited Tchernobyl or Fukushima lately? Tchernobyl has become a great wildlife reserve, less than 30 years after the worst nuclear nightmare ever possible in a civil nuclear plant. People are actually returning home as close as 3 kilometers from the melting nuclear cores at Fukushima Daiichi. Radioactivity levels are now lower everywhere in the evacuated zone than in a long-range flight. Can’t the media recall these facts instead of propagating rumor and fears ? Thankyou Stephan for your post and welcome to BNC. Please be aware that, as a science based blog, BNC requires contributors to back their comments with scientific reference/links. This allows others to check further on the information you have provided. Please supply those sources (I know they exist) for your recent and future comments. Thanks. Two years later, even the orange zone is safe. On page 26, the map of exposure to radiation in februrary 2013 shows that all grean areas are less radioactive than Lhassa in Tibet. The yellow areas can be visited safely. Thanks very much Stephan. Just what was needed! One of the fables about nuclear in France is that it mostly exports at night at very low prices. In fact it exports at all hours of the day and night as may be confirmed by browsing the history. But what about the waste? Whatever the arguments regarding the safety or otherwise of the power plants, the issues of what to do with the waste must be considered a major negative. What are we to do with it? France have a huge, under – ground facility to bury waste. In other areas of the world it is effectively left lying around while the ‘experts’ look for an agreeable dump spot. It is carted to & fro on public transport systems, an accident waiting to happen. Today is the 30th anniversary of the Chernobyl disaster. Babies are still being born with deformities as a direct result. The wildlife in the area is decimated; 40% infertility in males, smaller brains and cataracts. Tumour ridden mice. Who knows how long it will be before the area is safe once again? That accident affected large parts of Europe, Welsh lamb from the UK became unsafe to eat for a period. When nuclear power goes wrong, it REALLY goes wrong. Please be aware that BNC Comments Policy expects contributors to provide peer reviewed evidence to support their contentions, which are otherwise merely opinions. Please comply if you post further. Thank you. This last comment contains unsupported claims, contradicted by recent evidence. A TV report broadcast this morining on France2 shows that wildlife is thriving now in Tchernobyl, at odds with unscientific claims that this area “would be sterilized for centuries”. Dozens of science paper now document that advers effect from high-level exposure radiations from reactor explosions fade away within a few years. No long-term effects have been observed on humans, let alone mutation or malformation on children born several years after their parents have been contaminated. Last reminder: UNSCEAR has identified less than 150 direct victims (mostly on-site workers before the reactor was shielded with sand and concrete covers) and estimated less than 5000 potential victims. Most illnesses and distress in the surrounding population are due to indrect effets, such as defective fetal monitoring, health system and medical services failure, economic breakdown, unnecessary mandatory evacuations. Some NGO have spread unsupported numbers (50 to 900 thousand victims), yet fail to identify them. Yet, many communities have returned near the forbidden zone and many humans actually have lived there for over 2 decades without any sign of advers effects of contamination. Contrary to media coverage and some NGO propaganda, contamination levels are low compared with healh hazard limits, yet remain 20 or 30 times higher than natural radioactivity. But such levels are harmless to most adult people. Overbloating potential risks linked to radioactivity and understating the real catastrophic consequences of depriving people to stay home is not helpful to them: it just replaces the manageable problem of living near a deadly danger (but not actually on the spot where it is actually dangerous to stay) by the loss of sense of purpose and the feeling of control loss over one’s destiny. AND NO, France does not have an UNDERGROUND waste storage yet, but is recycling and keeping for later valuable materials contained in spent fuel. Projects for underground storage are under way, but it will be used for only a small part of worthless waste. Most waste is actually either usable right now as recycled fuel, or expensive metals that will be recycled later, when radioactivity levels have naturally decreased to natural radioactivity later (that process takes only a fex centuries, because these radioisotopes are short-lived). So nuclear waste is not waste: it is a well-kept treasure. Although some of the people who promote irrational anti-nuclear hysteria actually believe what they say, there are many who know they are spewing lies. They don’t want the climate-change problem to be solved, or even viewed as solvable, because that would dry up their income stream. How’s that for a conspiracy theory? Any evidence I’m wrong? The UNSCEAR reports about Chernobyl and Fukushima are available at http://www.unscear.org/unscear/en/chernobyl.html. There are links to their most recent (2008 and 2010) reports. Paragraph 76 of the 2008 report lays out the health effects in detail. 28 plant workers and emergency responders have died from the effects of Acute Radiation Syndrome. Fifteen fatal cases of thyroid cancer are attributed to Chernobyl. The most common other health effects are mild skin disorders and cataracts. No radiation-related deaths or acute diseases have been observed among the workers and general public exposed to radiation from the accident.